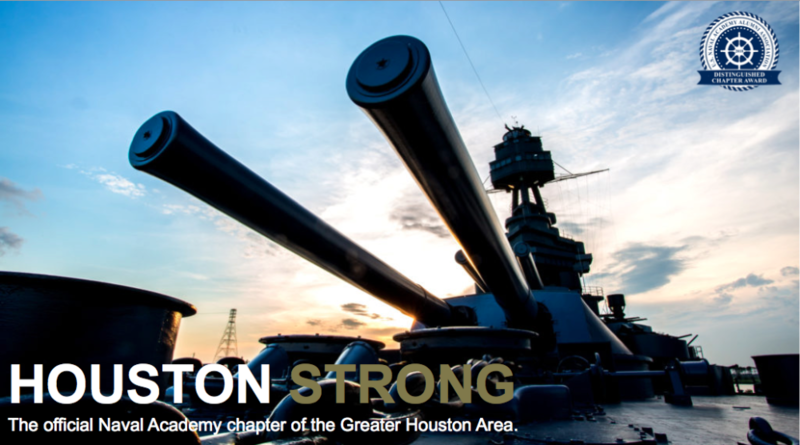 Consider making a donation to the USNA Alumni Association, Texas Gulf Coast FOUNDATION. The Foundation is a 501(c)3, and therefore, your contribution is tax deductible. Smith-McCool Sword: Donation helps support the purchase of the Smith-McCool Sword, awarded annually to the Midshipman from the greater Houston area with the highest Order of Merit, going into their Firstie year. John Buckingham ’69 Scholarship: Donation helps support the tuition assistance, all or in part, for greater Houston area high school students accepted to attend the Naval Academy’s STEM or Summer Seminar programs. All students that receive assistance have been vetted by Naval Academy Admissions as in need of financial assistance, and vetted by the Blue & Gold system and Admissions as having strong desire to attend the Naval Academy. Top Gun Benefit: Donation helps support the annual Top Gun benefit, a family friendly, volleyball themed charity event, with all proceeds benefitting both TxGC Foundation programs and local Veteran programs, such as Team Red White and Blue, Combined Arms, Lone Star Veterans Association, etc. Rotary Club of Houston’s Veteran Appreciation: Donation helps sponsor lunch/attendance, for a local Veteran, attending Rotary Club’s annual appreciation lunch, held on or around Veterans Day. Program typically pairs up Veterans with a partnering Veterans organization, and includes keynotes from high-ranking, active duty, Flag Officers or DoD officials. Link in the Chain: Donation goes to support local program hosted by Admissions, Blue & Gold Program, and Parents Club related to recognizing incoming Plebe classes, and their sponsoring 50-year Alumni class. General Fund, or Other Naval Academy programs: Donation goes to help support any other programs the Naval Academy has asked be supported by Alumni Associations. We always appreciate your donations, even if it’s outside one of our active fundraising drives. Making a donation to the General Fund goes towards any of the activities mentioned at the beginning of this page. We are always, also, making donations to various Veteran and Naval Academy mission oriented activities as they arise. Additionally, the Foundation may use General Funds to benefit Midshipmen Welfare when USNA Extra Curricular Activities, club sports, or other Midshipmen travel to our area and Alumni support is requested. Alternatively, donors are invited to earmark a donation to any of the activities above when the donation is outside of a fundraising drive. Your donation would then wait until that fundraising activity is again in need, and the donation would specifically benefit the activity. Please indicate in the donation comments if you are earmarking your donation.